Five years ago, it was only in the developed countries where people could book hotel rooms, taxis, air tickets and many more services online. Back then, experts would say that “there is no confidence in online transactions in Africa”. Thanks to the many scams running from one country in West Africa, Kenyans viewed online transactions with much suspicion, even as the digital divide dwindled. And the few who were brave enough could not transact online due to lack of options. PayPal didn’t trust many African states, nor did Visa and its holding banks. Now the tide is beginning to change. And Kenyans’ confidence in mobile money has swiftly transformed the outlook of eCommerce. Simple services such as ordering a meal, or booking a hotel, have gradually become an acceptable practice in Kenyan urban areas ushering in numerous players such as Jumia, Jovago and HelloFood. And such services are seeing tremendous growth in Africa at large. Even companies such as PayPal and Visa have made their presence felt in the region as the realization that Africa is a big market has dawned. 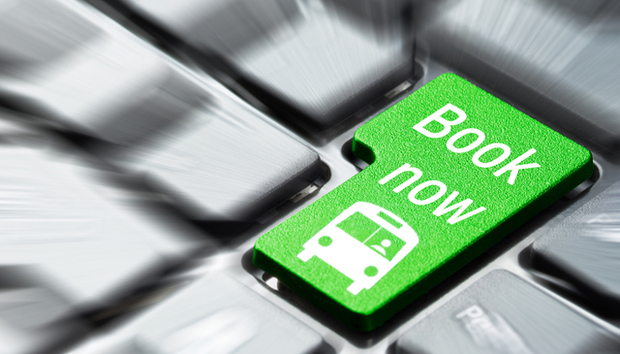 Booking services for travel were previously only the privilege for air travellers. And for quite a while, other modes of transport were simply not included in such services. But now Kenyan startup, Booknow.co.ke has altered that by providing Kenyans with a service that enables them to buy tickets minus the hassle that it takes to do it physically. “It is common knowledge that it is quite hectic to get a bus ticket in Nairobi. From traffic in Nairobi, you cannot guarantee yourself that if you head out to get the ticket you will do it on time, or you will even get that ticket. You are not aware that the bus is full or the bus has been cancelled,” Francis Gesora, a co-founder at the company, told IDG Connect. But still even with this service, it is not surprising that you will find long queues in bus booking venues. The level of awareness for online booking is still not that high. “We are not a mass product yet,” Gesora admitted. The business was set up in September 2013, sold its first ticket the next month and is now selling tickets on behalf of 14 bus companies and is seeing between 450 and 750 tickets booked weekly. This shows that bus travel in Kenya is still the favourite mode for commuters and the market is pregnant with potential. In fact, Booknow received an angel investing round totalling US$75,000 in August this year. And one of the uses of the funds will be to increase its market presence and bring in more customers to the service. “The funds for us are to grow our customer service team. We know Kenyans love to call. One of the options to get tickets is to call directly. It consists of a big chunk of our channel. We want to grow the [customer] team,” Gesora added. This building confidence in Kenyan tech startups is also seeing growth in individual local investor appetite. While underlying this is the fact that such ‘convenience’ services have great potential. “Most of the guys who signed up were Kenyan local investors. We had one or two or three guys who were non-Kenyan,” Gesora said. But this is not the first attempt to have an online booking service for long distant travels within Kenya. In 2009, Safaricom, the largest telecommunications company in Kenya, started a similar service. But it did not last. The offering went off radar, possibly highlighting that the company might have been too early in the game. Back then, MPesa, the most used mobile money transfer in Kenya, was only two years old. “More and more people are now accepting transactions online even if it means paying someone using mobile money. Online transaction businesses have a future, as 40%-60% of the population in Africa is under 40 years of age. That target market knows how to use the internet,” Gesora said. “But one of the challenges is that it’s a foreign concept for people to understand that you can book a bus online. We had to go through consumer education on the service,” he continued. As more online companies educate their target audience assuring them of safety and convenience, the eCommerce industry is raring to go in the one-billion-people-continent where internet access has become ever cheaper and more accessible. In December last year, research company yStats forecasted that Africa will have a 40% annual growth rate for eCommerce in the next ten years. The report cited South Africa, Nigeria, Egypt and Morocco as markets where there is strong adoption of ecommerce practice. “eCommerce has a high potential in Africa as the growing middle class seeks more convenient shopping and better price quality, driving local and international internet merchants to operate in the region,” said Yücel Yelken, yStats’ CEO as he revealed the contents of "Africa B2C E-Commerce Report - 2013". This is a natural curve especially in countries that take connectivity seriously and where government involvement is strong in adapting to digital services. « Gamification Sets the Price for Wearable Tech?